“Kylian is the Nervous System Whisperer.” – Alison Vickery, Holistic Health Coach. 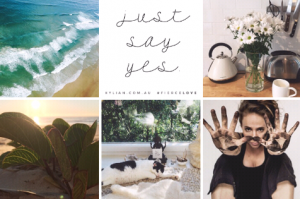 Based in Byron Bay, Australia – Kylian offers 1:1 sessions and online courses and retreats. She also travels across the continent, facilitating juicy workshops. In 2019 she will also teach around the world. If you live far away, you can work with her via Skype video link up, where she does remote sessions, courses and packages. She also creates luxury retreats for 1 – 8 people. At Kylian’s home studio (or on Skype). See here for details. Release, replenish, repair and thrive. . . PSOAS LOVE® will show you how. If the main conversation of the psoas is of a disruption in the system, what is your Psoas communicating to you? PSOAS LOVE® is a brave and potent body of work. Kylian demystifies this ‘holy grail’ – by interrupting the status quo with her love-soaked teaching. A unique cross-pollination of somatic education, deep rest, playful repatterning and soulful inquiry – hydrates your whole system and regulates the nervous system. Overwhelm-free, experiential anatomy – applicable to everyday life – shows you how to move and sit with integrity – to avoid exacerbating a host of conditions that show up in the Psoas. Her deliciously revolutionary and non-intrusive Psoas releases – bring profound and instant relief. This work cultivates coherency and resiliency, and redefines ‘self-care’. It shows us stuff we instinctively know – but have forgotten. Once we ‘get out of the way’ – the body regenerates on a cellular level, pain and illness dissolve – and life gets more spacious and easeful. So you get to live life on your own terms. You can experience this profound, revolutionary work in 1:1 sessions and coaching packages, workshops and courses. Join Kylians mailing list for upcoming workshops. Women who have depleted themselves beyond measure. With Kylian. The Queen of Rest. In January, 95 women from 13 countries came together to rest. There will be another opportunity mid-year. If you want updates be sure to join Kylian’s mailing list here. Sunday is traditionally a day of rest. But we’ve forgotten how to rest. To ‘unplug’ from modern life. Modern life has us tethered to technology, the brain is always-on, we sleep less, and we are flooded with stress hormones. Yes, our nervous systems are feeling the effects…. 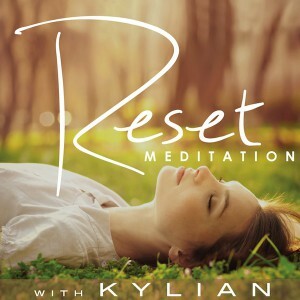 Kylian’s Sunday DEEP REST® sessions are the perfect antidote for modern life. Gently moving you out of a stress response and into a deeeeeeeply restful place. It plugs you in to the innate regenerative powers of your body – creating new possibilities for your health and life. When you reset the nervous system and cultivate sympathetic capacity – you become resilient, and the body restores on a cellular level. All. By. Itself. Pain and illness dissolve – so you stay juicy and mobile as you age. It’s a new paradigm for how we see and experience the physical body, and its capacity to self-repair. It’s delicious, powerful and life changing. These 2.5 hour sessions are a beautiful interplay of fluid-body activation, revolutionary rest, deeeep PSOAS release and Restorative Bio-Technology – to expedite sensory processing (which becomes dysregulated in our stress response) – to deliver profound states of relaxation. It registers as a deep sense of ‘safety’ – on a cellular level. So you drop deeper than you can imagine. It’s gentle, juicy and profoundly potent. You will deeply rest, nourish your adrenals and profoundly reset your whole system, and leave purring like a cat. “Perfect. I always get just what I need.” – Lesley Elizabeth, Personal Assistant. Everything is provided and set up for you. Limited to 10 people – Bookings essential as classes always book out. Call or email Kylian here. Studio address will be given upon booking. Do you feel called to teach this beautiful work? It’s about way more than just teaching people to rest for a few hours in a class. It is a pre-emptive strike AND it presses LOVE into all the right places. It teaches you to enable little miracles to occur. For yourself, your beloveds, and your community. This highly anticipated training gives you access to my secret-sauce methodology and teachings. A synthesis of 20 years of professional and personal blood, sweat and tears, teaching people to rest, working with women in trauma recovery, and the lessons from my own brutal breakdown in 2011 followed by my deeeep slow-cook recovery. Go here to register for VIP updates. Work with Kylian from anywhere around the world! It’s beautiful and powerful. And it works. It’s not for the faint of heart. It requires courage, and a deep commitment. To show up differently, for yourself. For your Nervous System and your life? Visit the Nervous System Repair Package page for full details here. Like what you see? Want me to run a workshop in your community or talk at your event? Contact Kylian to talk about the possibilities and make it happen! Easy. Join my mailing here list for regular updates and receive my beautiful ‘Reset’ Audio gift. ...and get Kylian's beautiful FREE audio!